The moment that a visitor enters your site for the first time and forever moving forward, your sales agents will know exactly what the specific contacts looked at, for how long and be able to determine exactly what the prospects are interested and thus putting an end to cold calling once and for all. The moment that a visitor enters your site for the first time and forever moving forward, your sales agents will know exactly what the specific contacts looked at, for how long and be able to determine exactly what the prospects are interested and thus putting an end to cold calling once and for all. The more visitors that get cookied, the bigger your pipeline will be. Watch this short video explaining how CRMDialer’s Visitor Tracking works. To understand how you get all that valuable data, you need to understand how visitor tracking systems work. Here are the basics. See why prospects are visiting and what they’re doing for more effective targeting with CRMDialer. Did visitors come to certain pages from a link in an email or from filling out a contact form a year ago? Warmly nudge your prospects like never before with CRMDialer! Each sales rep will know exactly what their leads are looking at, click by click, to optimize their sales process like never before. Visitor tracking alerts lets reps know who is viewing which page and when from the moment that they sign into their CRM. Managers can be proactive to make sure that no warm leads are falling through the cracks. 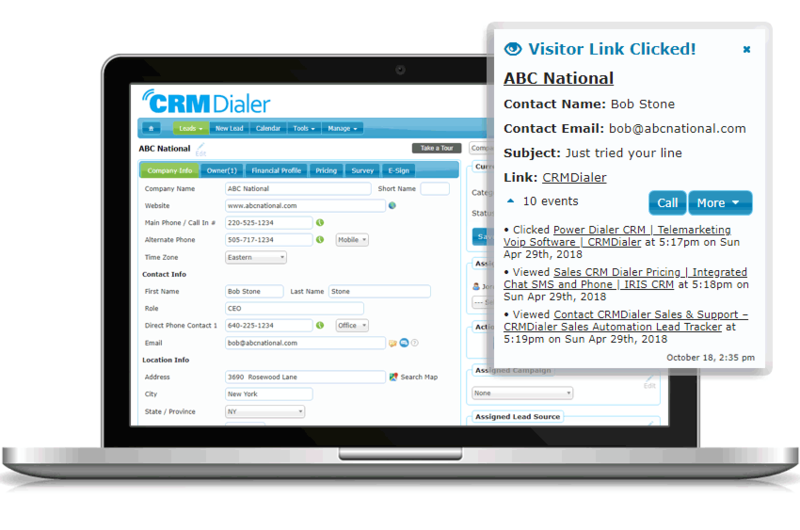 CRMDialer stores all the activity for each visitor. Each click is tracked and lets sales reps better understand potential pain points and interests to best serve their prospects and customers. Sales reps must continually answer the question – who should I call next? Visitor tracking solves the dilemma, making the choice clear based on the order in which those visitors expressed interest. Armed with all the information our tracking system gives you, sales reps can more effectively target their prospects with a personalized touch that could move more prospects through the funnel and ultimately boost sales. CRMDialer uses the latest cookie technology to track users originating from opening and clicking emails as well as filling out forms or downloading digital assets for the long-term. CRMDialer will recognize and alert your sales reps when a visitor has returned 24 hours later or even months later with real-time notifications in their CRM to rekindle conversations that may have been written off. You don’t know what you don’t know and that’s why CRMDialer is built to do all of the heavy-lifting for you. Our CRM is one of the most feature-rich and revolutionary platforms on the market. How Does Website Visitor Tracking Work? Website Visitor Tracking uses the latest cookie technology to identify visitors based on a click from an email at any point in time or a form completion where a person willingly shares their information with you – one time. From that point on, every visit, revisit, and click is tracked and reported in real-time within CRMDialer for the lifespan of that visitor. What Are The Best Use Cases For Website Visitor Tracking? 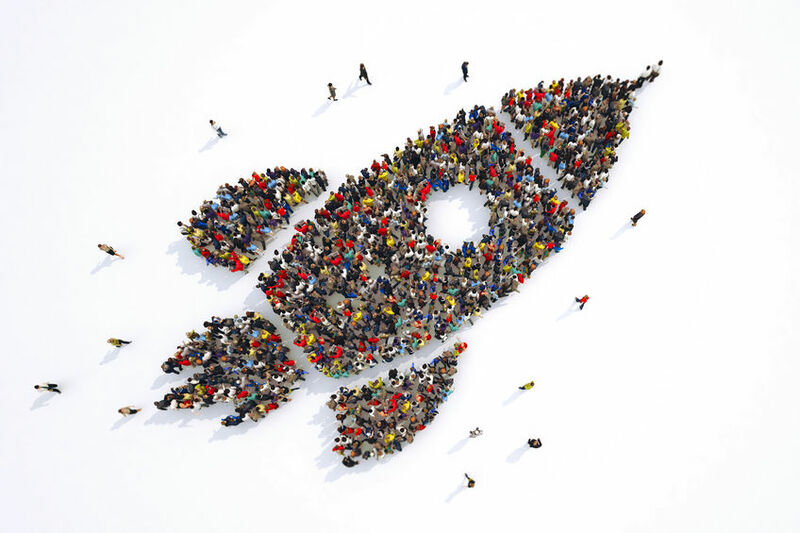 Best business use cases for Website Visitor Tracking include replacing anonymous traffic provided through traditional analytical tools, sending out email marketing campaigns and knowing every interaction with your site from that point forward and reporting on upsell opportunities when existing customers re-visit your site. How Is Website Visitor Tracking Functionality Billed For? Once you’ve installed the Website Visitor Tracking snippit on your site, CRMDialer begins to work. Each contact is counted as a credit only one time for the duration of the cookie. For example, if you send an email to a prospect and direct them to your pricing page, the moment that they click that link, they will be tracked forever regardless of how often they interact with your site. You can even manage the same visitor across multiple sites that you own all for a single redeemed credit. How Do I Know The Originating Source Of Visitors Activating Website Visitor Tracking? CRMDialer tracks each email sent through your CRM and each interaction where a prospect fills out a form or downloads a digital asset. Reporting for each Website Visitor Tracking visitor is provided with the source of the email, the link they clicked or the form that they filled out. Each visit after that is appended to the lead history automatically for your sales reps to access and take action on in real-time!